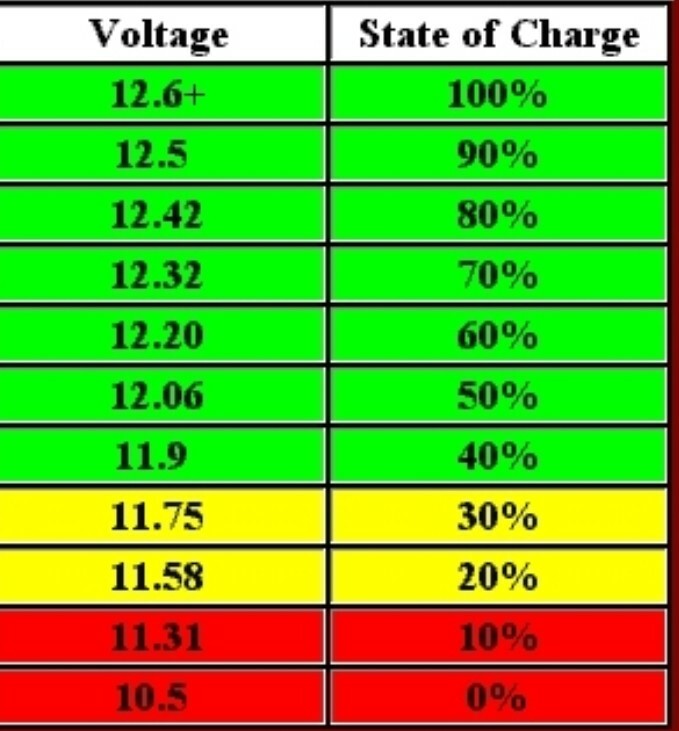 A useful battery charge chart. If the control panel provides a reading in volts then you can be sure that anything below the green means that your engine battery will struggle to start the engine – especially if diesel. If it is your habitation battery then lights will start to be fading in the yellow and green bands. A good fully charged habitation battery should last a couple of nights between charges so long as there’s no major appliance being used.